Millions of veterans rely on VA for both health care and benefits. Ensuring that the system is able and agile enough to accommodate the millions of veterans who use its services is paramount to ensuring the lasting success and health of the veteran population. 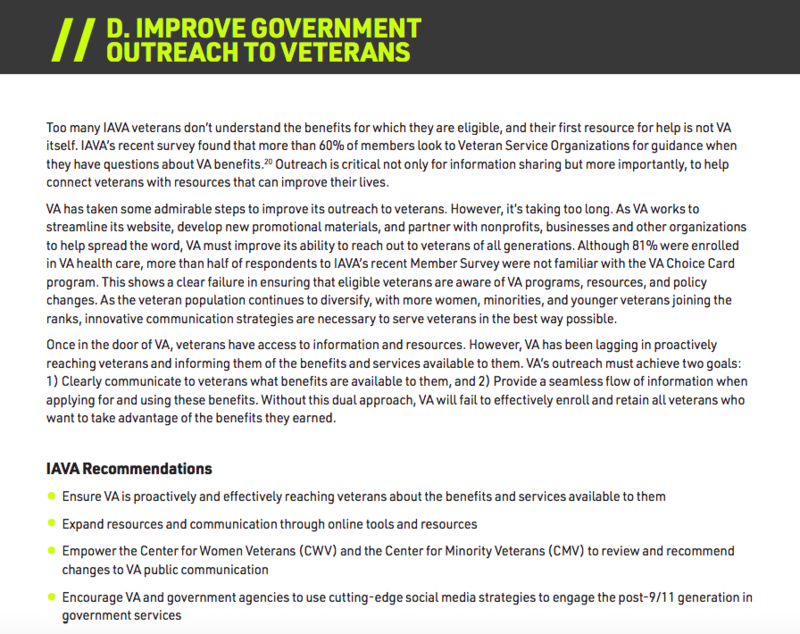 About 48% of all veterans and about 55% of post-9/11 era veterans are enrolled in VA care. 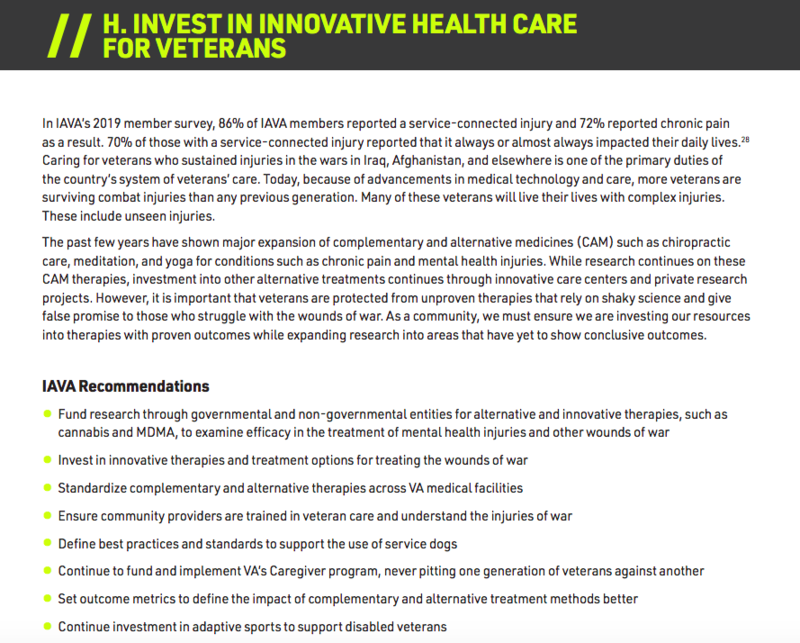 Among IAVA member survey respondents, 81% are enrolled in VA health care, and the vast majority have sought care from VA in the last year. 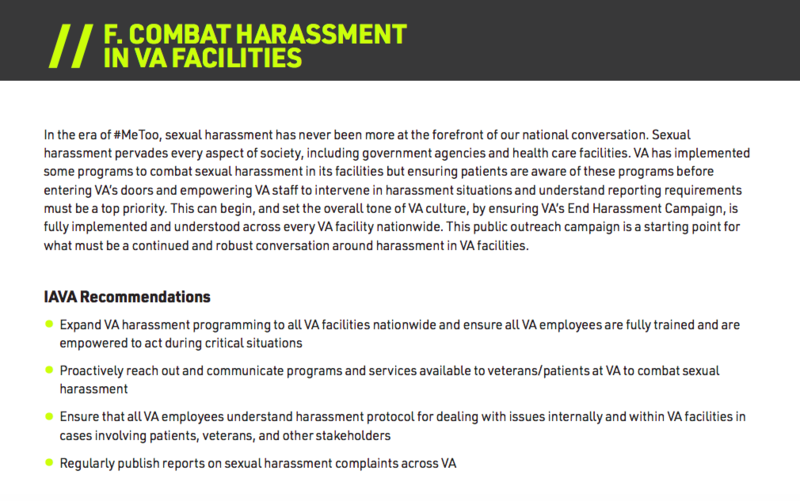 And 81% of these VA users rated their experience at VA as average or above average.12 IAVA members have been clear that access to VA care can be challenging, but once in the system, they prefer that care. 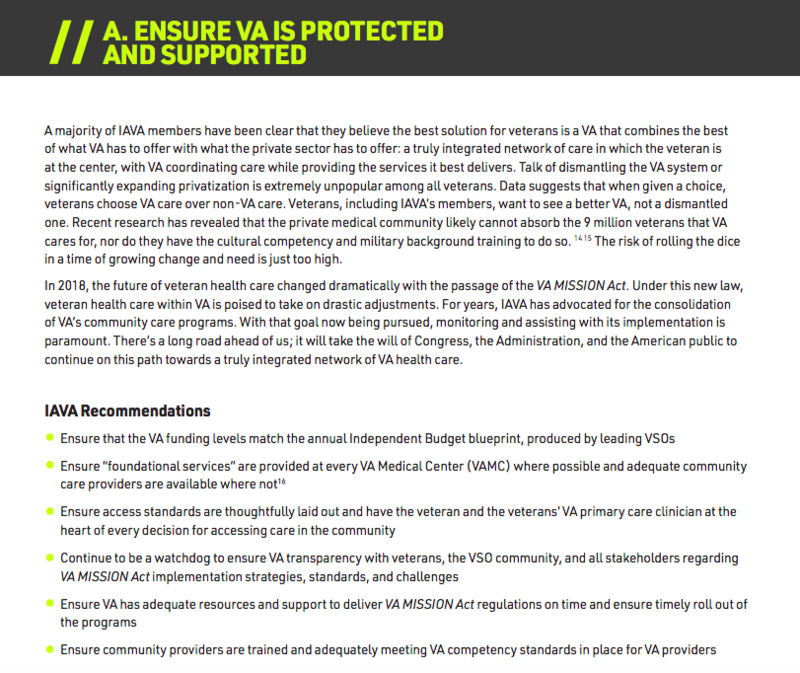 Further, independent reviews of VA health care support that the care is as good, if not better, than the private sector. A bold approach to ensuring today’s veterans have a system willing to bend and adapt to them will take the full coordination of the executive branch and Congress, along with stakeholder partners in state and local governments, and the private and nonprofit sectors. We need a system that leverages the use of new technologies to streamline processes and enables VA to take a more dynamic approach to respond to the needs of today’s veterans. Even so, the best technology will not save a system if it is built upon outdated structures. 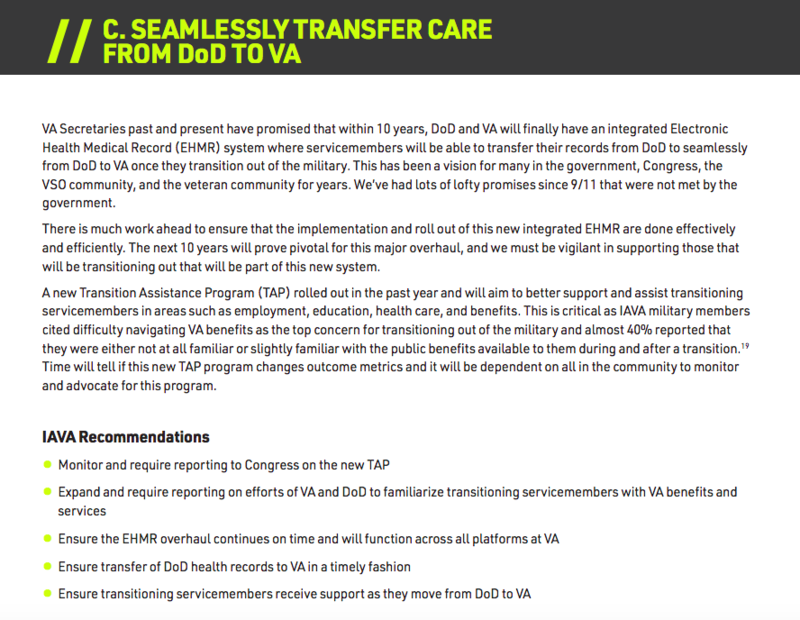 VA must connect its internal departments and work with DoD to streamline services. 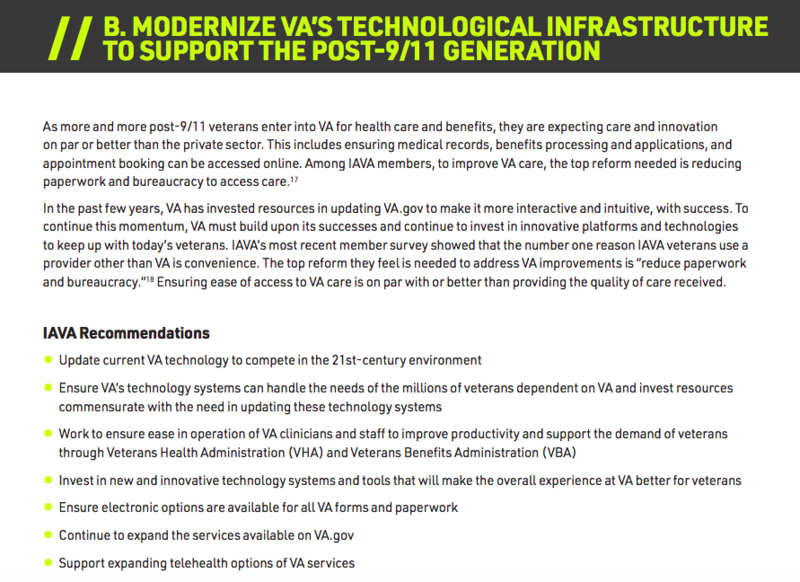 Over the past few years, VA has made incredible strides in modernizing its operating systems both internally and externally. 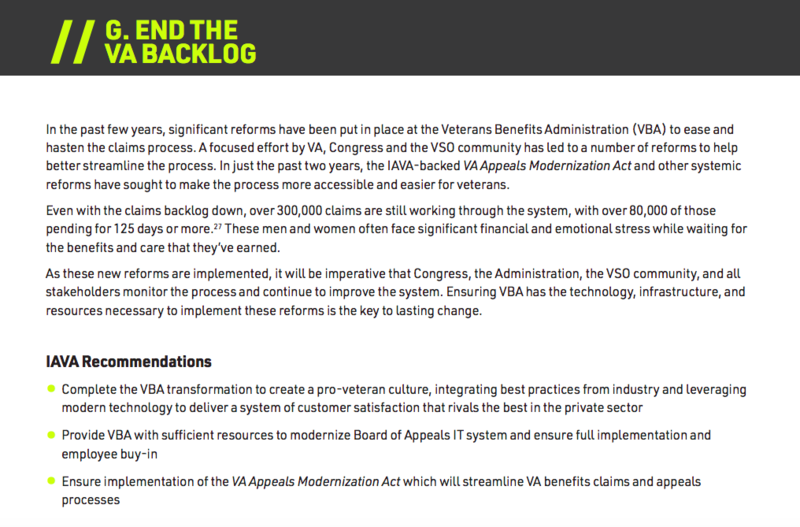 The plan currently underway to bridge VA and DoD medical records, replacing a decades-old electronic medical record system, and updating VA.gov to be more interactive and intuitive are among the significant accomplishments that have been in the works for years. A system slowly but surely moving to the 21st century is a win for all veterans. 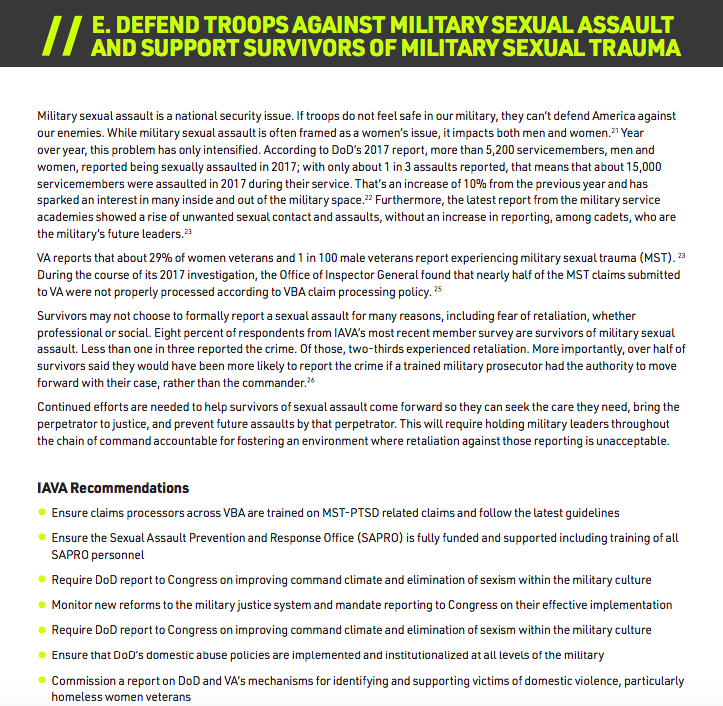 Learn more about IAVA’s recommendations here.